This is the first of a two-part article, where Edward Mendlowitz shares fifteen of the thirty ways to structure a transfer of a business to a successor. Mendlowitz stresses that a succession plan is important and too often overlooked by business owner(s) involved in day-to-day operations. Capturing the value and having a strategy in place provides ongoing cash flow, a degree of financial security to the owner(s) and their family, and certainty to a host of people that have a business relationship with the subject business. Capturing that value should be a major concern of the owner(s). It is improbable that a business will last forever. Owner(s) need to make succession plans; otherwise, their business will die with them. 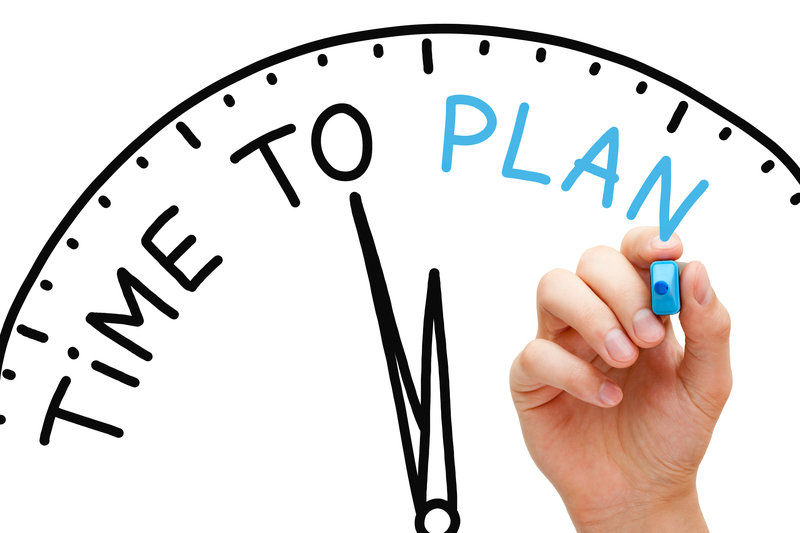 A succession plan is important and too often overlooked by business owner(s). Many, but not all businesses have value. A business with value provides ongoing cash flow, a degree of financial security to the owner(s) and their family, and third parties that have established business relationships with the subject business. Capturing that value should be a major concern of the owner(s). Succession planning is not an event. It is a process that establishes new ownership and management and provides the ways and means to put them in place with a reasonable likelihood of success. The transition could be to a family member, a successor already working in the business or a new hire that will eventually run the business. When succession planning is nonexistent or fails, the company is either sold or liquidated at a fraction of what could have been realized. The absence of a plan impacts far more than just the family. Succession planning takes time and effort; it is an investment. Succession planning is an important process that affects the owner(s), his or her family, employees, customers, suppliers, professionals frequently consulted with, the landlord, and possibly the local community. Succession planning requires a carefully thought out plan, or chaos could result and certainly lost values. Succession planning should be done, even if there are no immediate plans for the owner to retire, as a precaution against unforeseen or unintended future events. It is important for the business owner to understand that there are choices. Doing nothing is a choice and usually involves working until the owner drops, which may or may not result in the greatest realization of value to the owner or his or her family. But in that case, the business will not continue and carries with it the natural consequences of that path. Preparing for transfer to a successor is not much different than preparing for a sale. Critical information needs to be assembled and organized so that the successor and their advisors can do their due diligence. A by-product of preparing is that it makes the owner confront the availability of the right type of information and for them to consider using it to perhaps better operate their business. This includes financial statements, an examination of profit centers, cash flow analyses, a review of the top customers and vendors and the susceptibility to loss if relationships are terminated, geographic coverage, evolving ways business is conducted, and an examination of the company’s business model, organization chart, and suitable backup. Before any plan can be presented, a sense has to be obtained of the business’ value. Most sales to a successor are privately structured transactions with the price and terms, more or less, being dictated and are not arms-length transactions. They are done between two parties, one of whom is not in a strong position to negotiate or dictate terms. The terms play a strong role since many times payments are made from the business’ cash flow and not independent investment sources. Entrepreneurs who want to pass the baton need to come up with a price that would be suitable to them, their family, and the people paying it. In many instances, the value of the business interest passing hands is based upon what the buyer can pay, and no other reason. From a practical standpoint, the business has to be paid for, but in a transition to current management, it will most likely be from someone who hasn’t the money to pay for it. The allocation of the purchase price also needs to be taken into account the tax treatment to the seller and buyer. This, too, would have an effect on the value. The business owner(s) will have several options to arrive at the value. Ideally, where there are multiple owners, the owners will have a buy-sell agreement setting forth the process. Absent an internal formal process, the owners that are anticipating a triggering event will need to decide whether a broker’s opinion of value, calculation or conclusion of value, or opinion from an investment bank is most appropriate. At some later point, the opinion of value will need to be revised and the prospective buyers (internal or external) will need to consider getting their own opinion of value. Time is an important element in structuring the transaction. A lot more can be done if the owner(s) have five to ten years, rather than one or two years, or less, say if a death or disability is causing the transfer. An orderly transfer can accomplish much more for everyone involved. The longer the time, the easier it will be to train and ease in the successor to a leadership role. The sooner the process starts, the better. Transferring stock to the next generation involves many variables, none the least is a method to do it. Succession planning is not the same as retirement planning or planning for the sale of the business. These usually involve consideration of realistic market conditions and valuations, and the need for, and actual receipt of, cash, either initially, or over a fixed term. A true succession plan involves the sale or transfer of the business to the next generation of owners, be it relatives or long-term employees. The needs of the seller have to be balanced against the ability of the business to make the payments. The payments are not just the direct payments to the departing owner. They could be to a bank or other lender who provided the funds so the retiring owner could get a lump sum payment, or to a venture capital group that is a co-owner with the designated successors. This article will indicate thirty ways a business can be transferred in connection with a succession plan. The methods can carry a cost, income, gift or estate tax, need for an appraisal and consideration of valuation discount issues, and/or risk consequences and practical considerations. Some obvious choices are not so simply done when all the issues are considered or applied. In most situations where the transfer is to a relative, appraisals will be needed, or if not, then strongly advised due to IRS potential oversight that there was not an unreported gift. If the transfer is to someone that is not a relative, the need for an appraisal would depend on the circumstances of the transaction. In most of the methods mentioned, minority or lack of control shares will be transferred. In those cases, valuation discounts should be considered as would the need for an appraisal. In situations where there would be taxable income to the recipient and a deduction to the transferor, the circumstances requiring an appraisal will vary and a tax expert should be consulted. Here is a further comment about the outright transfer of stock to key employees. While it is advisable to have a buy-sell (one that is funded too! ), in the latter instance, a buy-sell agreement is especially necessary for successors that are not family members. For family members, a trust can also be part of an asset protection and wealth transfer plan. However, having the stock in the employee’s individual name will not matter if there are iron tight restrictions on transfers with a must sell clause if the employee no longer will work for the company or under other circumstances. This article covers thirty ways to transfer ownership to a successor. It does not discuss the reasons for a succession plan, why it is needed, and alternatives, and it does not cover the process and timing. The thirty ways can be expanded exponentially by combining methods to arrive at the right plan for the client’s situation. These thirty ways provide the most common methods and certainly gives many things to think about when advising a client. Where the word “stock” is used, it also applies to any ownership interest and can include corporate, partnership, or members’ interests depending upon the entity of the business. When stock is referred to, the percentage interest is not suggested and should be determined by the circumstances of each situation. The successor buys the stock and pays for it out of his or her savings. Stock can be given as a gift. However, gift tax would be payable or chargeable against the owner’s lifetime exemption to the extent the gift exceeds the annual exclusion amount. If gifts are made annually equivalent to the annual exclusion, it can be a slow protracted transfer. In most cases, the tax basis to the recipient will be the same as the donors. All such stock is taxable to the recipient and deductible by the transferor business for a corresponding amount. The amount of tax paid by the employee can make receiving the stock quite costly. The employee’s basis is the same as the amount that was taxed. This method results in no cash receipt by the majority owner but there will be a benefit of reduced taxes due to the deduction. There are some circumstances where the payment would not be fully deductible such as where an S corporation makes the payment and a loss is created where the stockholder does not have basis to take the deduction. An illustration of the cost is to assume the stock’s value is $100,000 and the employee is in a forty percent marginal tax bracket, the employee’s cost will be $40,000. Stock and cash given as additional compensation. The cash will be used to cover the employee’s taxes on the compensation. This neutralizes the cost to the employee. The cash covers the tax and the stock ends up being owned at no cost. The transferor entity gets a deduction for the full value of the stock and cash, which should save the corporation or its stockholders if an S corporation and basis exists, taxes sufficient to cover the cash outlay. This negates any tax savings benefit to the owner that would exist when only stock is given as compensation. Under this method, the owner does not receive any payment whatsoever. An example of how this works is shown here, assuming both the employee and corporation, or its stockholders, are in a forty percent effective tax bracket. If the option price is not less than fifteen percent below the value of the business when the option is issued, it will not be taxed when issued. Nonqualified options are taxed when exercised to the extent the value exceeds the option price. This method can be used to transfer all or a part of the business. It also freezes the business’ value for the optioned shares so the person getting the option will benefit from the growth and will pay for the stock in a delayed manner. There will be a cash payment to the owner when the option is exercised. If the portion is a majority of the company and the option is exercisable only after an “event” such as someone’s death, incapacity or retirement, the value of the shares could be frozen at the current value less fifteen percent. This does not give full benefit to valuation discounts that might be able to be created if the grantor split their shares into two parts (e.g., gifting part of the business to their spouse) with neither party having more than fifty percent. That would reduce the value subject to tax since two non controlling interests would be acquired. If this is done, make sure the transferor does not inherit it back. This gives the employee/successor all the upside growth with no current cost, no current tax, and the seller current value but with time discounted future dollars. Also, if the option is exercisable against an estate, there will be no capital gains tax on the sale. The option can also include payment terms so deferred payouts with reasonable interest can also be possible. Incentive stock options (ISO) are options granted that meet the statutory requirements and do not allow the acquisition of stock for a price below the value when granted. The maximum value of the ISO when granted cannot be greater than $100,000 per year, per grantee per year. ISOs are not taxed when issued or exercised, but when the stock is disposed of. However, the excess in value over the option price at the time of exercise is a preference item subject to the Alternative Minimum Tax (AMT). This gives the employee/successor all the upside growth with no current cost and no current tax. The offset is that the seller will receive the current value in the future. A strategy here for the employee would be to immediately (i.e., within thirty days) exercise the ISOs and make an election under Section 83(b) of the Internal Revenue Code. There should be no taxable income, no AMT income, and a holding period will start for long-term capital gain treatment. The downside to the employee is the need to pay upfront for the exercised shares. This puts the successor in the same position as if they were granted restricted stock and immediately made the Section 83 (b) election (see next item). Any one of the methods where the employee is taxed can be mitigated for the employee by a cash bonus to offset the tax payment such as illustrated in prior methods. Restricted stock is given to the successor. The stock is not vested, or irrevocably owned by the successor, until certain restrictions are removed or lapse. An example of the type of restriction that is attached to the stock is that the employee must work for the company for a minimum period after receiving the stock, such as three years. At the end of the three-year period, the restriction is removed and the stock becomes fully owned by the successor, or one third becomes vested annually for three years after the third year. Nothing is taxed until the stock restrictions are removed. This can cause a very high tax at that time if the stock’s value has appreciated substantially. This is particularly applicable if the company develops new technology or products that take off or the company is sold or has an initial public offering. At the moment the restrictions lapse, there will be a tax event. There is no control over that. This could be particularly onerous if the stock is not liquid and tax has to be paid on the restriction lapse trigger date, and there is no way for the employee to get cash for the stock. A way to protect against the tax occurring when the restrictions lapse is to make an election under Section 83(b) within thirty days of the stock issuance and pay tax at the values when the stock was issued. This is not that different from the stock option method, except that there is a current tax cost to the employee if the 83(b) election is made, and a cost to the employee to pay for the stock upon issuance. The employer is entitled to a deduction during the same period and for the same amount the employee reports as income (assuming the owner or company would get the full benefit of the deduction). This includes income recognized with respect to the Section 83(b) election. This is similar to #4 above (cash in tandem method) and applies whenever stock is issued in a taxable transaction. Here the tax payments are delayed until the options are exercised, or restrictions lapse, or when the Section 83(b) election is made. Cash and/or stock compensation arrangements are set up and activated when predefined outside events occur, such as the sale of the company. This is nothing more than a bonus mechanism that gives the employee a share of the upside benefits. Any payments under this plan are taxed as compensation income. The benefit to this in succession planning is that it locks the employee into the company and provides a bonus if the company is sold out from under him before a plan is set up that will satisfy the employee as well as the employer. Note that one of the goals of succession planning is to not only transfer ownership, but to also transfer value. This method accomplishes transferring value. There are maximum limits for corporate deductibility that should be looked at before this is implemented. This has the same affect as if stock or options were issued, except actual stock does not change hands. Units corresponding to shares of stock are assigned to certain employees. They get any benefits that would be attributable to those shares as if they were actual shares. The major difference from a tax standpoint is that the gains are fully taxed as compensation and no capital gain treatment is available. Also, taxes are never paid unless cash changes hands subject to IRC Section 409A which delineates situations where taxes would be currently paid and, in particular, payroll taxes. This needs to be checked out before this plan is implemented. This is a bonus mechanism that tries to duplicate stock ownership by the employee without any initial cash or tax outlay, or financial risk to the employee. The similarity to actual stock also carries through if dividends are paid. The dividends are taxed as compensation income, not at the favorable dividend rates. Phantom stock plans or arrangements can be structured to suit any situation. Some companies issue “stock appreciation rights” that differ, in that they duplicate the growth part of the phantom stock but not the dividend features. Also, phantom stock plans can be given any name the company chooses such as “Shadow Stock,” “Stock Performance Rights,” or whatever seems to sound right. Some companies also have actual “stock” certificates printed and distribute them to the participants if there are more than a small number participating in the plan. The phantom stock is a method to compensate the employee for the increase in value of the “shares” he is issued. No money will go to the owner for the phantom shares, but it will make the sale to the successor at a later date easier since the successor will have some vested interest in the company. These agreements are ways of tying up stock and involve no cash. A method to use would be to give the anointed successor a very small or tiny minority interest and through a buy-sell or cross purchase agreement, provide for a stock redemption when the major stockholder decides to leave, or dies. See comment in last paragraph in the first method above. One way of dealing with these agreements and the succession or transfer of ownership is for the company, a trust, or designated successor to purchase a ton of life insurance on the majority shareholder. When he/she dies the insurance is used to acquire the stock from the estate. Note that there are issues of where the cash will come from to pay for the policy. Question: Assume a forty year old and a seventy year old are equal partners and they each have a policy on the other’s life. Also, assume the cost of the insurance on the forty year old is $3,000 and on the seventy year old is $15,000. The company pays both premiums and issues a 1099 to each of them. How much is the 1099 for the forty year old and the seventy year old? Answer is “c.” The forty year old owns the policy on the older owner while the older owner will own the policy on the younger owner. There are variations on owning insurance such as with a life insurance funded buy-sell agreement where the business owns the insurance and acquires the stock from the decedent’s estate. In the buy-sell format, the remaining stockholders do not get a stepped up basis. Note that C corporations would possibly have the insurance proceeds subject to the AMT. A cross purchase agreement is where the individual shareholders, partners, or members own the insurance on each other either individually, or through a partnership or trust. The premiums are paid with personal after tax funds. The life insurance proceeds are completely tax-free and the buyers get a stepped up basis when they acquire the stock. It can get cumbersome as the number of shareholders rise unless there is a partnership or trust that owns the policy. The step up is well worth using this format. Example: Assume the business is worth $2,000,000 with one owner with ninety-five percent ownership and the other with five percent. Question: Which way is preferable if the ninety-five percent owner dies while still an owner? Which way is preferable if the ninety-five percent owner does not die and the company is sold ten years later? Answer: If the majority owner dies while still an owner, the life insurance would be used to redeem his stock and the five percent owner would become the 100% owner. Payments for life insurance is always “wasted” money if the death does not occur as contemplated with the policy, but I believe we all pray that the money should be wasted. However, there is a benefit from the premiums, in that it bought piece of mind and protection should there be an untimely death. Clauses in a compensation agreement can provide for additional compensation based on a percentage of profits as they are earned. This does not give stock ownership, but it pays out the cash profits as they are earned with respect to the percentage designated. The payments are paid as compensation. An alternative would be criteria that do not only include profits. For instance, it could be based, in part, on sales increases, new accounts opened, increases or decreases in head count, number of units produced, or decreases in inventory. In the sense of a succession plan, many clients are unable to decide what to do, but at the same time, they do not want to upset the equilibrium they have in the business. By providing novel ways to give a bonus or additional compensation or incentives to their key players, they are not only maintaining the business, but encouraging growth and increased profitability until they actually decide what they want to do. Any time there is an agreement to pay deferred compensation, there might by 409A tax issues. This needs to be considered. One possible way of transferring a business, where the payments to the present owner are not a major consideration, would be to set up a new entity owned by the designated successor who would carry on a business similar to the present business. In this method, the assets and customers cannot just be transferred outright. Perhaps the new entity would only accept new customers. The present business, whose resources would be used, would be paid for the labor, equipment, and other assets used. To the extent working capital is needed, it could be loaned to the new entity by the old business. At some point, the personnel would be transferred to the new company, and the equipment and other assets, including any intangibles, would be sold at a fair value or leased. The new entity cannot blatantly take over the existing business. A clear business purpose must be established and there must be strong business reasons (and not only succession or estate planning) why it was done. The IRS also has rules vitiating a liquidation/reincorporation so the plan must not run afoul of those rules. The will says who gets what. Of course, the will can be changed anytime during a person’s life, so the successors should take care to remain on the good side of their benefactor. Also, this gives no contractual rights to the successor. This can also be done through a living trust where the majority owner puts his or her stock in the trust. Control is vested with the initial trustee (who would also be the grantor) and an alternate is designated who will carry out the instructions in the trust, which would spell out who gets what and what the payment price and terms would be, after the grantor dies. The trust provisions will effect the transaction immediately after the death, and not be delayed by the probate process that the will is subjected to. Note that the living trust, like the will, can be changed during the lifetime of the grantor. The purpose of either of these two methods is to provide comfort to the designated successor that plans have been made to establish a “manageable” price and terms, and at the same time, enable all the ramifications to be dealt with during the life of the business owner. Note that the living trust will have no income or estate tax benefits during the lifetime of the grantor. There are no tax filing requirements, the grantor’s social security number is used, and all transactions are reported on the grantor’s individual tax return. Upon death, the trust becomes irrevocable, a TIN must be obtained and tax returns have to be filed, and income will be recognized and taxed in accordance with the terms of the trust and trust reporting protocols. Since the transfer will take place after death, no minority discounts will be able to be applied. Lots of times “promises” are made and/or a will or living trust is actually executed, but the apparent or designated successor wants a “guarantee” that he or she will eventually own the business upon the death of the owner. A way to satisfy this is for a stock option to be issued, either by the owner outright or in connection with a will or living trust. The living trust is much better since the probate process will not delay any transfers. The option would give the successor the right to acquire ownership at a higher price than the will or living trust initially provided in the case where the will or trust is changed and those provisions eliminated, or the price or terms are changed. This would only be activated in the event the grantor changed their mind and/or will or living trust. The option price is a form of protection for the successor, and would usually be at a higher price than the promised, will, or living trust amount. The owner should consider putting a clause in the will or living trust calling for an apportionment of estate taxes with respect to any excess value that is subject to estate tax. The apportionment clause will cause the successor exercising the option to have to pay the extra estate taxes attributed to the unpaid value of the business that was acquired, provided the IRS audited the transaction and prevailed in a challenge of the price. In part two of this article, fifteen additional structures are presented. Edward Mendlowitz, CPA, ABV, PFS is Partner with Edward with WithumSmith + Brown, PC’s New Brunswick, NJ, office. He is an accomplished professional and is one of Accounting Today’s 100 Most Influential People. Mr. Mendlowitz is also author of 24 professional books including The Adviser’s Guide to Family Business Succession Planning (AICPA 2006), over 1000 articles and blogs and developer and presenter of more than 250 continuing education courses, speeches and webinars. He has testified twice before House Ways and Means Committee on tax reduction, equity and reform; admitted to practice and argued cases before U.S. Tax Court; and was an adjunct MBA instructor for 11 years. Mr. Mendlowitz can be reached at: (732) 964-9329 or by e-mail to: emendlowitz@withum.com.